1. 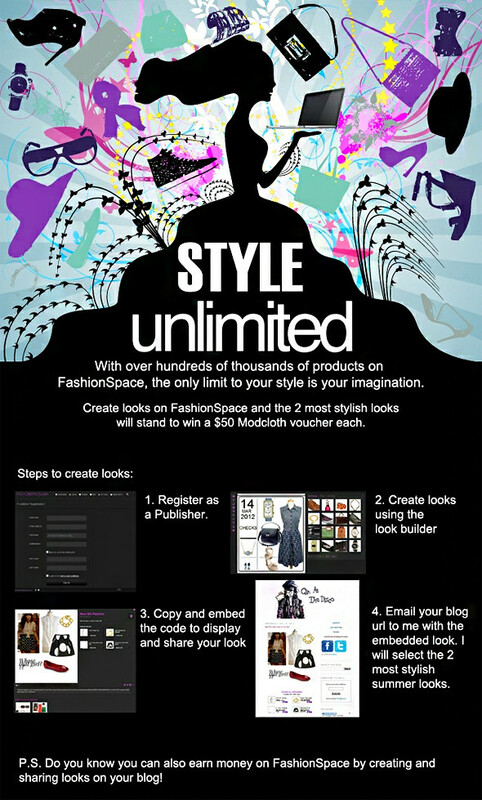 Register an account with Fashionspace.com. 2. Follow 'Eiffel In Seoul' on Facebook & Twitter. I will randomly pick two winners who will win $50 Modcloth voucher each! The giveaway ends on June 6, 2012 (11:59 PM, GMT +8), winners will be announced thereafter. PS/ The giveaway is open to all readers internationally! I'm not certain where to comment so I'll leave one here too.